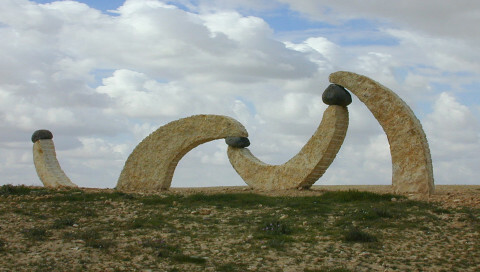 2003, stone, 250 x 900 x 160 cm, Open Museum Hazerim, Israel. 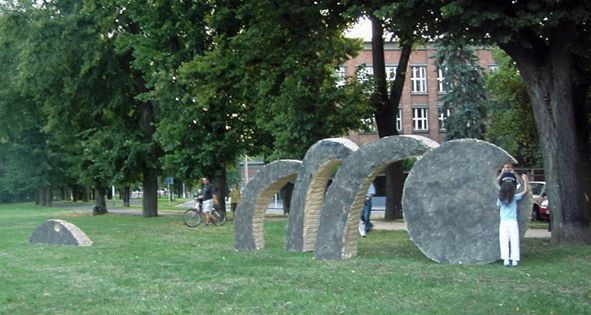 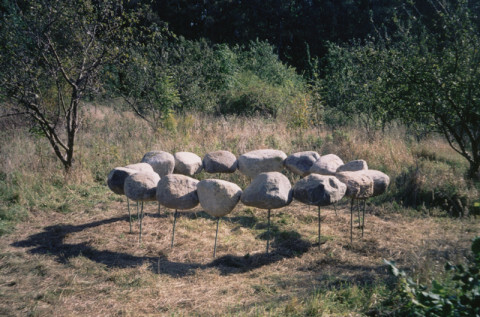 2004, sandstone, 300 x 800 x 200 cm, HOŘICE – Sculptural Park, Czech Republic. 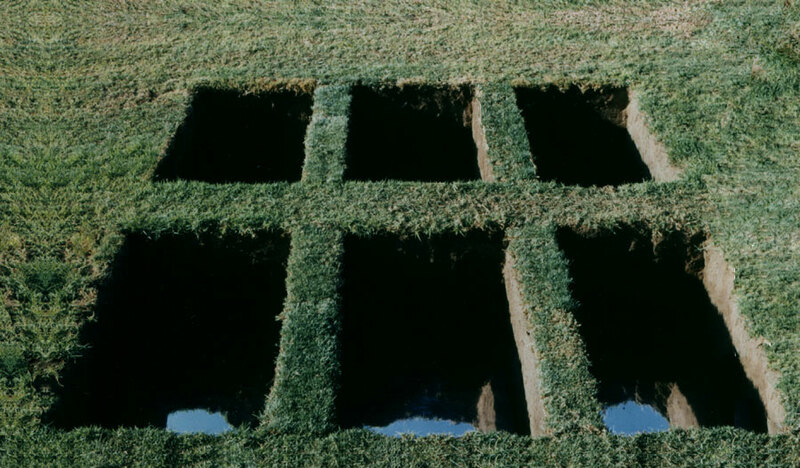 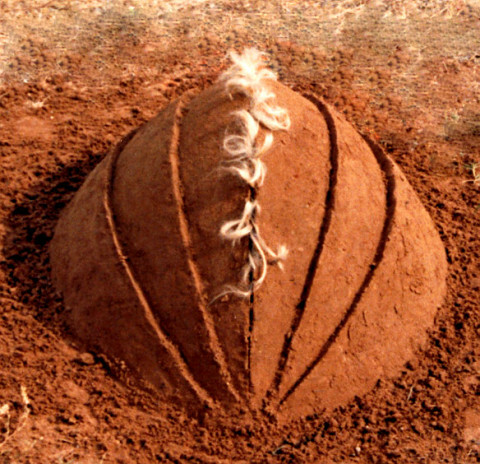 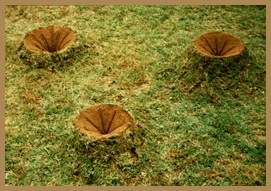 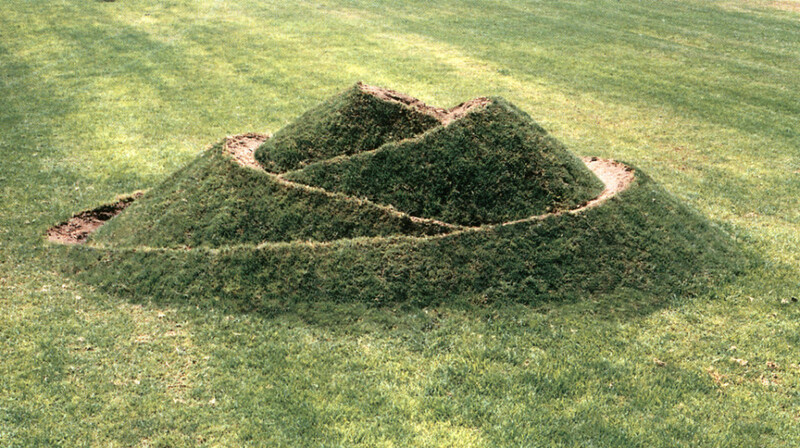 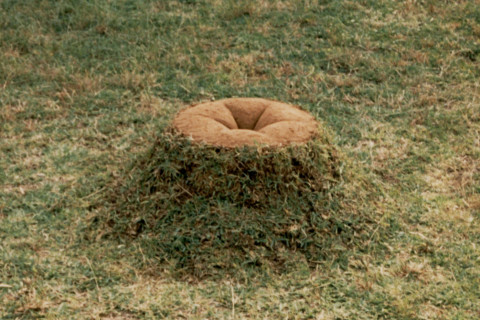 1989 Soil, grass, 180 x 600 x 400 cm. 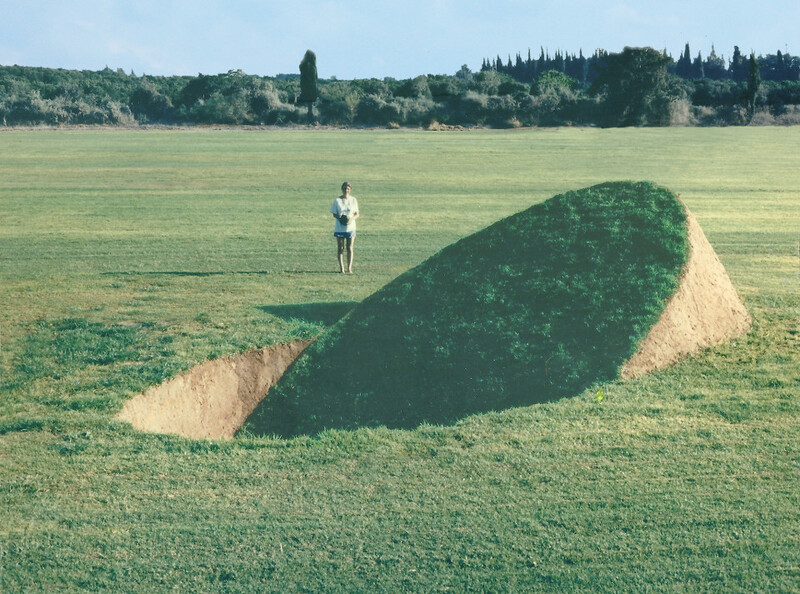 Givat-Brener, Israel. 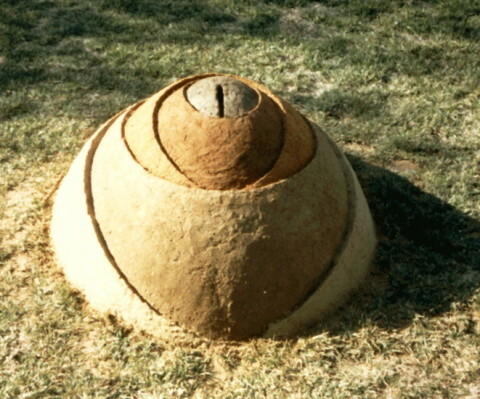 1986 Soil, fire, nylon 80 x 160 x 100 cm.